No videos found for plate number 5Z95113 in California, United States. click here to add a video. 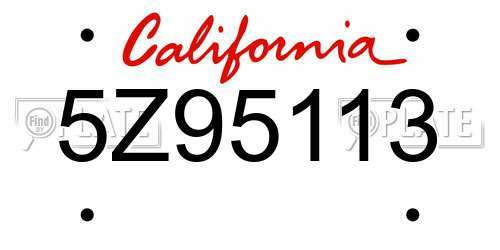 No owners found for plate number 5Z95113 in California, United States. click here to add an owner. No related websites found for plate number 5Z95113 in California, United States. click here to add a related website. Submitted Dec 04, 2018 Gold color Ford F150 with CA license plate 5Z95113 has been parked in the school white zone during enforcement hours for over an hour and a half. Please issue citation.